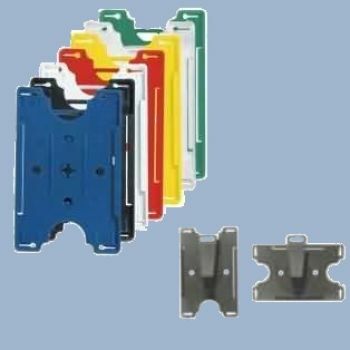 Rotatable card holder hard plastic, colored. Card size 54 x 86 mm. Dim. 57 x 89 mm. This credit card sized holder protects your card from bending or tearing. Its rotatable clip allows vertical and horizontal use. The long and chain holes allow attachment to a lanyard, yo-yo, chain or clip. 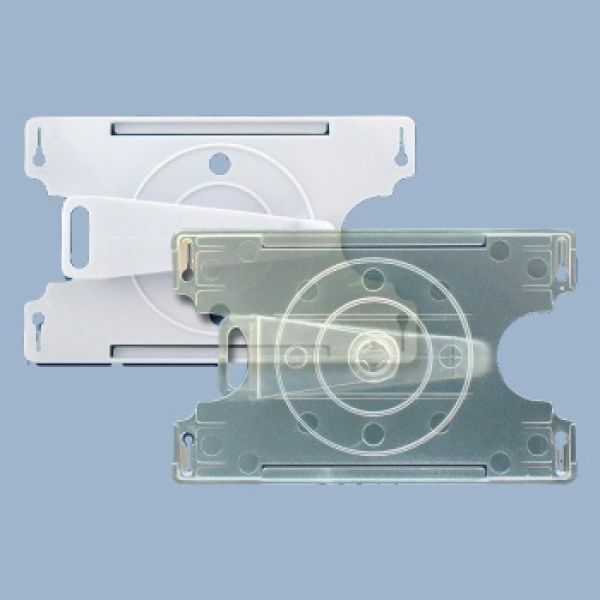 Consists of semi-solid polycarbonate. Available in 7 different colors.